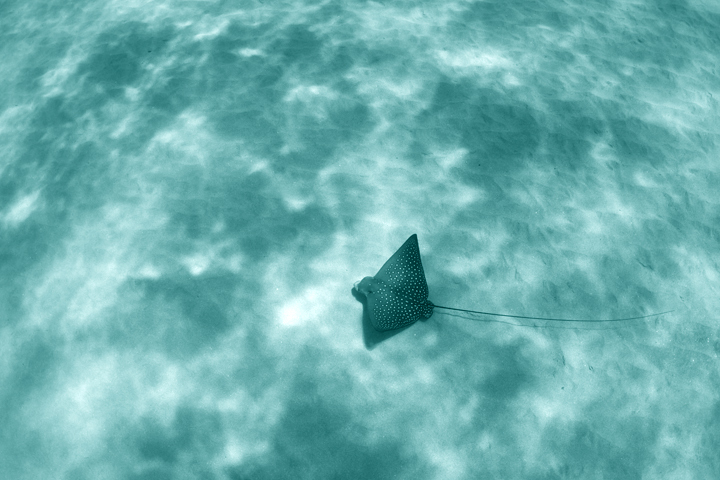 I photographed this awesome Spotted Eagle Ray sailing across the sandy bottom in about 35 feet of water along the west coast of Maui. It always surprises me how fast marine life can move with so little effort. It’s easy to see from the mottled light on the sandy ocean floor how their spots help camouflage them against other terrain. I am always in awe of how beautiful nature is in photos. The colours in this shot are amazing.